Outboard motors are the workhorse motors of the boating industry. What frugal minded boater hasn't at some point in his/her boating career run an outboard motor on one of his/her crafts? Outboard motors are fuel efficient, easy to operate, and relatively easy to maintain. Routine maintenance can keep older outboard models running for many years past their prime. One particular type of routine maintenance repair is replacing the water pump (the pump that draws water out of the engine). Particular problem areas are the rubber gaskets and impellers that are housed within the pump itself. Begin by removing the engine compartment bolts at the bottom of the engine housing. There should be three to four bolts around the perimeter of the housing that hold the bottom portion of the motor to the engine compartment. Slowly, but firmly pull the bottom housing away from the engine compartment housing. The bottom portion of the motor (which houses the water pump) will slide off easily. Disconnect the electrical wiring connecting the two housings together and mount the lower engine housing solidly in an engine vice. 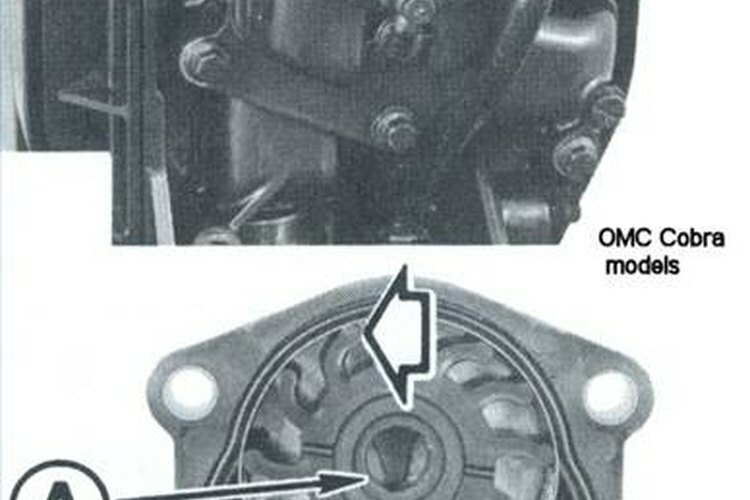 Remove the four bolts holding the water pump housing in place. Slide the housing off of the driveshaft and inspect the interior for gouges or inconsistencies that could affect the water pump's performance. If wear is evident, replace the housing as well, but if the inside of the housing looks smooth, move on to the next step. Pull the impeller off of the driveshaft or out of the housing (whichever location it ended up) and inspect it for cracks or wear. Since you are replacing the water pump, we will assume the impeller is a goner and replace with a new one. Next, remove the gasket seals underneath the impeller. There will be three in this order: rubber gasket, aluminum gasket, rubber gasket. Using the engine oil, lube the new gaskets and slide back in place (in order). Slide the new impeller in place, followed by the water pump housing. Push down on the water pump housing while turning the driveshaft at the same time to slide the housing in place. Replace the four housing bolts and slide the lower part of the motor back into place on the lower part of the motor assembly. Replace the bolts holding the upper and lower housings together and connect the wiring harness. It is helpful for to have an extra pair of hands as you try to push the housing down over the new impeller. The impeller is stiff and can be tricky to mount in place. Make sure to install the impeller in a clockwise position, as counter clockwise will only lock up the water pump.